People interested in our SHINE show frequently ask if we can recommend good storytelling teachers. As it turns out, some of our SHINE hosts and storytellers are among the finest teachers around. They've perfected their own craft, and are ready to help others. Whether you are new to storytelling – or a pro who wants to hone your skills or develop new material – there is a class or workshop right for you﻿. We'll keep this page updated with their latest offerings. Christopher Rivas: "Personal Story Workshop"
Have you always wanted to tell a personal story but you don't know where to start? 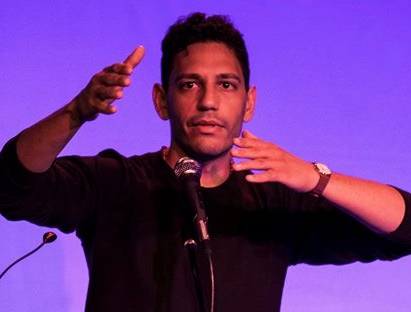 Want to win a story slam, or just get it out - I'll help you transform your bad blind dates and visits from unruly parents into insightful, compelling revelations. I'll show you how to make your story relatable and tantalizing to readers, listeners and editors. For more information about these classes, please contact the teachers through the links on this page. If you have questions about SHINE or Storey Productions, please see our Contact Us page for complete contact information.